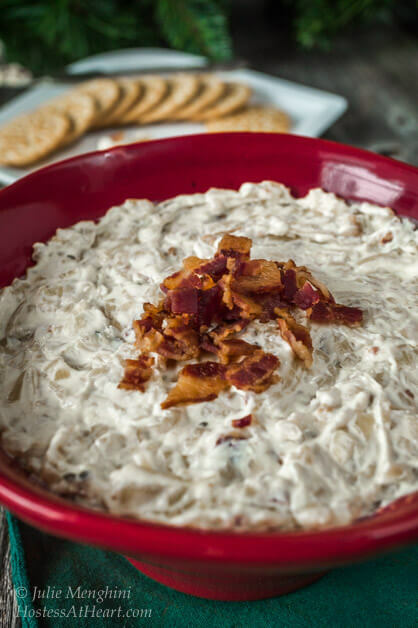 Creamy Gorgonzola Cheese and Fig Dip is smooth, sweet, and a little spicy. 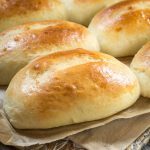 It is quick and easy to make and will be a hit at any gathering. 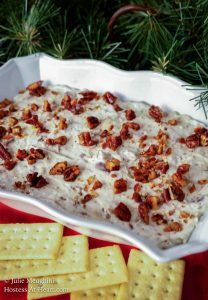 When I had the Festive Cranberry Cheese Spread that my sister brought for an early Christmas celebration, I was really inspired to put my own dip flavors together. My grocery store had a creamy gorgonzola that looked perfect. I also grabbed some dried Mission figs and a package of their sweet and spicy pecans. 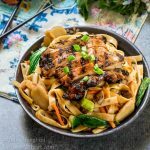 Do you create your recipes in the aisles of the grocery store? I’m not the only one that does this, am I? The second time around, I got exactly what I wanted. It had an upfront gorgonzola flavor, some sliced green onion for a subtle contrast, fig jam for sweetness and chopped pecans and minced figs for texture. 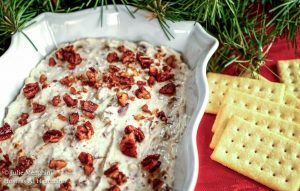 I finished this dip with the same sweet and spicy pecans sprinkled across the top. This dip had all of the flavors and textures that make a perfect balance and delicious recipe. 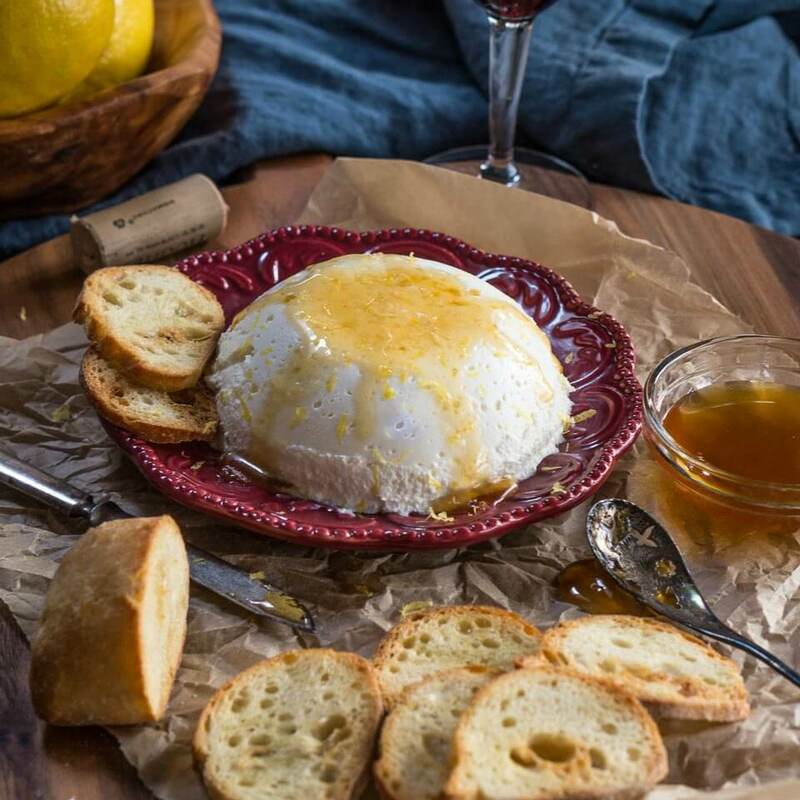 Creamy Gorgonzola Cheese and Fig is smooth, sweet, and a little spicy. It is quick and easy to make and will be a hit at any gathering. Combine creamy gorgonzola cheese, sour cream, and cream cheese in the bowl of an electric mixer and blend until creamy. Spoon into a serving dish and garnish with additional pecans. I took this dish to a Christmas get-together with friends. They loved it and I left with an empty dish at the end of the night. 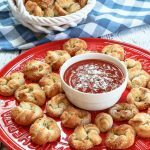 I love a great appetizer and here are a few more that we love! 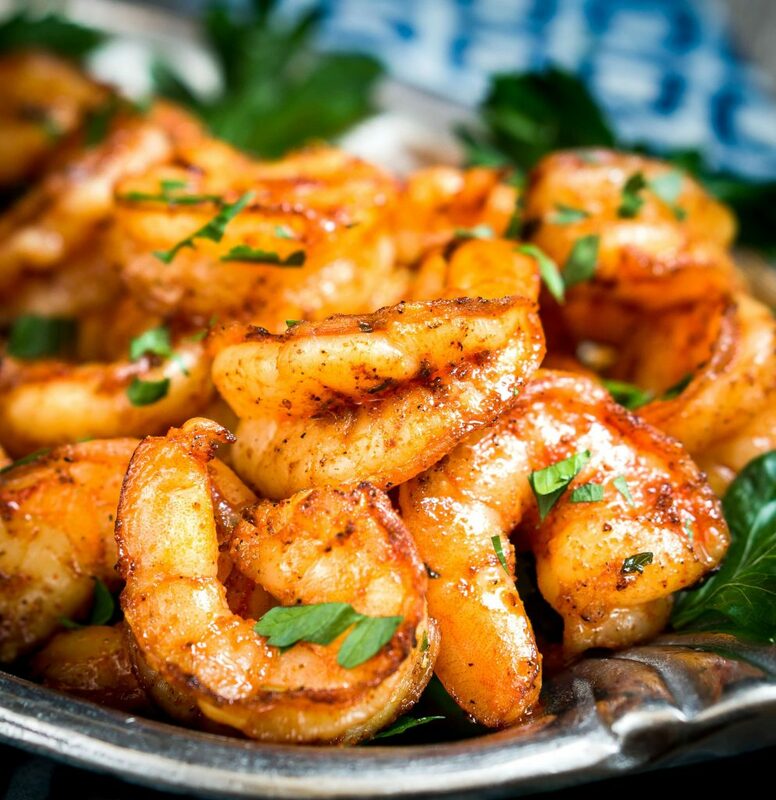 What is your idea on a great appetizer? I’d love it if you shared! Almost sounds like something my grandmother used to make!!! Yes, I create recipes in the grocery aisle all the time. Those spiced pecans would make any dish sing. Trader Joes is a great place to create unless there’s a million people in the store, than just keep moving so you don’t get trampled. Why are we not neighbors? I would totally come to all of your get togethers. I know Tracey! I’ve met so great people here that I wish were my neighbors. Coffee would be an amazing get together! I love this Julie! The flavours just sound phenomenal and I cannnot wait to give this a go! I am pinning this. I love trying new dips! Thamk you! I am bery pleased with how it came out. I like the flavor combination that you have created. What all the holiday parties ahead…this will be perfect. Thank you Karen! If you try it i hope you will let me know what you think. This looks fantastic. I hope to have an excuse to make it soon. One more excuse next week! Thanks for stopping by! You could use blue cheese if that is available. When in Italy I love trying so many wonderful dishes. Lucky you! Trader Joe’s cheese aisle is my Achilles heel. Love the flavors going on in this dip! I agree and then there are the nuts and dried fruit! Or New years? I was just telling Judi of auntiejuju that my pantry is a mess i’ve bought ingredients and have forgotten for what! I have a feeling your pantry looks a lot like mine and don’t get me started on the contents of the refrigerator! Thank you Chitra! Have a wonderful day! Inlive making different dips as well Julie! This sounds like a delicious deal for sure. Thank you! 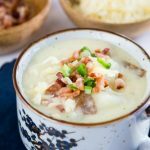 It is a quick and easy dip that isn’t a traditional dish. What a combination of interesting flavours! Can’t wait to try! Thank you! Please let me know what you think if you get a chance to try it. Sounds delicuous and easy to make, got to try it now!